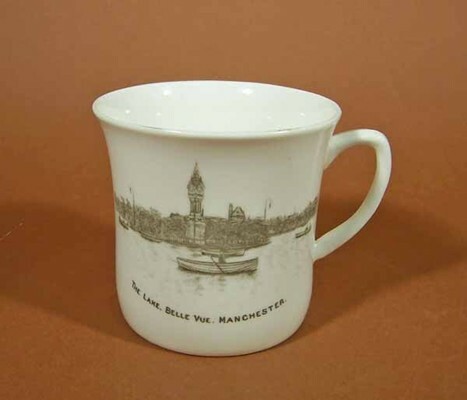 Coffee can, bone china, decorated with black transfer-printed lake scene from Belle Vue Zoological Gardens. Text reads "The Lake. Belle Vue. Manchester".